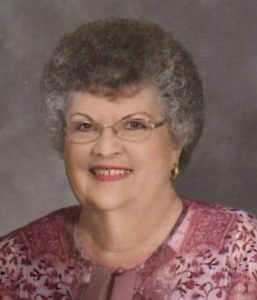 Donna Kay (Gabriel) Schildknecht was born February 19, 1939 in Wathena, Kansas and departed this life on February 7, 2019 at her home in Cleveland, Missouri at the age of 79 years, 11 months and 19 days. She was the daughter of Herbert Edward and Arlene (Gummig) Gabriel. Donna spent her younger years in Wathena, Kansas. In 1951, the Gabriel family moved to St. Joseph, Missouri, where Donna graduated from High School in 1957. After graduation, Donna attended one year of junior college in St. Joseph then transferred to Southwest Baptist College in Bolivar, Missouri. On June 3, 1960, Donna was united in marriage with Darvin Schildknecht at Copeland Baptist Church in St. Joseph, Missouri. After their marriage, Donna and Darvin lived in St. Joseph until June of 1972 when they moved to Cleveland, Missouri to make their home. Donna had worked for Miller Pipe Organ Company, but she always felt her most important job was that of a loving wife, mother, grandmother and homemaker. For over 30 years Donna played piano and taught Sunday school at Grand River Baptist Church, Freeman, Missouri, her entire life was dedicated to her church. Donna loved to crochet, cook, collecting bells and cardinal figurines. She was preceded in death by her parents, Herbert and Arlene Gabriel, and one daughter-in-law, Rebecca Ann “Becki” Schildknecht. Donna is survived by her husband, Darvin Schildknecht of the home; two sons, Kevin Schildknecht of Clinton, Missouri, and Kyle Schildknecht and wife Carmen of Springfield, Missouri; four grandchildren, Tyler Schildknecht and wife Hayle of Lee’s Summit, Missouri, Morgan Schildknecht of Clinton, Missouri, Sydney and Lydia Schildknecht both of Springfield, Missouri; other relatives and many, many friends. The family of Donna Kay (Gabriel) Schildknecht will host a Memorial Service at 2:00 p.m. Saturday, March 16, 2019, at the First Baptist Church of Louisburg, Kansas with Pastor Jesse Smith and Rev. Kevin Schildknecht officiating. The family will receive friends one hour prior to the service, 1:00 – 2:00 p.m., at the church. Contributions are suggested to the First Baptist Church of Louisburg, Kansas, 406 S. Vine Street, Louisburg, Kansas 66053. Cremation arrangements entrusted to the Wallace Funeral Home. So sorry for your loss. You are in our prayers as you go through days ahead. A lovely sweet lady at home with Jesus. Kevin,&Morgan, our thoughts an Prayers are with you.. God will carry you through this , I know first hand after losing my dad last year.. God will be right beside you to carry you when needed. I know how concerned you were about your moms health when you were here..Just know besides Your family an God you have many Friends lifting you up in Prayers.. Some of you do not know me, I am one of Kevin’s former students in Clinton. I just wanted to say how sorry I am for your loss. But may you all hold strong to our Lords love. May you hold on to the promise, finding peace & comfort that someday we will all be reunited with her in Heaven. My family & I are in prayer for you all. If you need anything are also here for you! No one can prepare you for a loss; it comes like a swift wind. However, take comfort in knowing that she is now resting in the arms of our Lord. Our deepest condolences to you and your family. Kevin, Kyle, Darvin, and families. We are so sorry to hear of the loss of Cousin Donna. Any time is too soon. Peace and love be with you all during this difficult time. Our professional and caring staff is dedicated to working with your family to provide assistance in selecting high quality and affordable funeral services. We are embedded in the history of Pleasant Hill and deeply concerned and committed to the people of Pleasant Hill - as we have been in the past, as we are now, and as we will be in the future. "In 1870, my Great-Great Grandparents, George M. & Mary Kellogg came to this town to make it their home. Since then, Pleasant Hill has been home to 6 generations of our family. We don't just own a business in Pleasant Hill, we live here, we work here, and for 139 years we have raised our families here - sharing in the joys and sorrows of other families who have done the same thing as they have in ours."